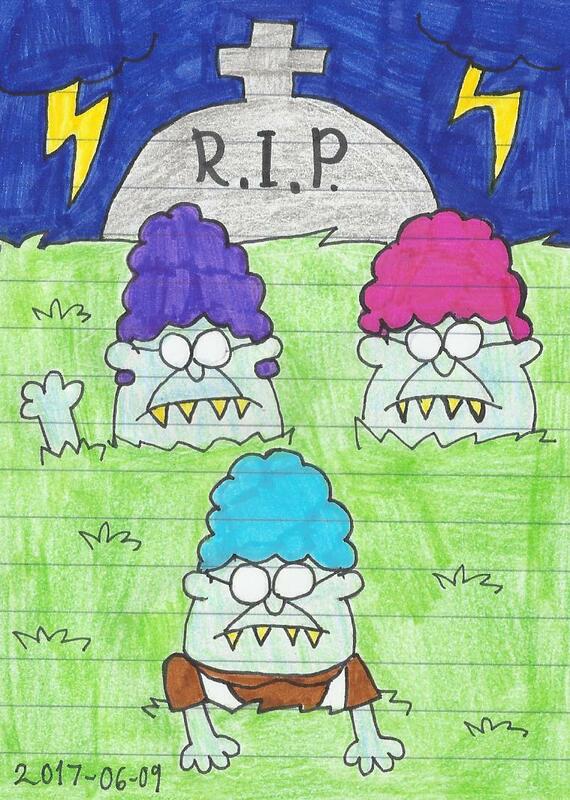 Remember those lunch ladies in the third Captain Underpants book where that George Beard and Harold Hutchins created a comic book about them and the title of their comic was "Captain Underpants and the night of the living lunch ladies" where the lunch ladies portrayed as zombies. I laughed so hard at this. This is why I love that book very much. Another reason why I love this because that comic, it's also the cupcake baking prank by putting baking soda and vinegar. I wanted to draw those zombie lunch ladies but I didn't know what colour they are until I bought the colour edition of the books. You've perfectly captured the style of the book! Well done!